AIMC Berkeley offers a variety of courses that are available to students, professionals and our community. We offer both CAB and NCCAOM approved Continuing Education courses, certificate programs in the U.S. & abroad, as well as community workshops. 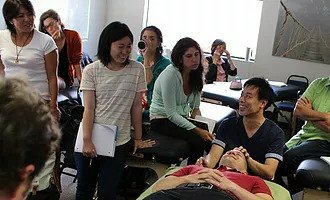 AIMC Berkeley is the only Acupuncture College in the United States that offers Japanese Acupuncture courses taught by Japanese medical professionals. Medical Qigong Therapy, a hands-on-healing and qi emission therapeutic practice, has been used for centuries to balance and restore healthy energy flow in the body, mind and spirit. Based on ancient Daoist and Chinese medical theory, medical qigong is a powerful and effective healing system that has powerful and effective application in any clinical practice. This six weekend series will provide students and practitioners from across healing disciplines the opportunity for deep self-inquiry and qi cultivation, in-depth understanding of Chinese medicine theory and experiential mastery of medical qigong therapeutic diagnostic and treatment techniques. This 6-module series will provide students and practitioners from across healing disciplines the opportunity for deep self-inquiry and Qi cultivation, in-depth understanding of Chinese medicine theory and experiential mastery of Medical Qigong therapeutic diagnostic and treatment techniques. 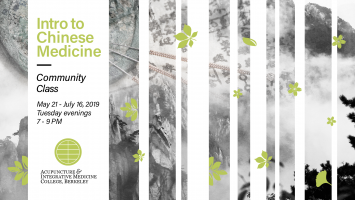 Chinese Medicine Theory and Medicinal Daoism: Students will take an in-depth look at key psycho-emotional and cosmological dimensions of medical Qigong practice and theory. Medical Qigong Training: Students will build Qi sensitivity and Qi emission practices with use of Qi balls, sound, color, hand postures and movements, channel reading, and medical Qigong balancing protocols. They will learn to diagnose, treat, and maintain ongoing support to patients in varied clinical settings. Complete Certificate Hours: 6 weekends of total of 90 hours of class time with additional 60 hours of required clinical practice hours to earn a 150-hour certificate in Medical Qigong Therapy. Each weekend will include group Qigong practice, meditation instruction, lectures, individual and partner work, written assignments and discussions. Prerequisites: Modules 1, 2 and 3 PLUS additional weekend TCM intro theory class for non-acupuncturists or acupuncture students, date TBD after Module 2. In this course, you will learn a wide variety of medical qigong treatment protocols that tonify, purge or circulate their patients’ qi, calm shen and balance emotions. 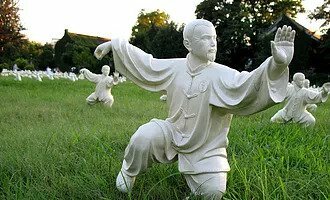 You will continue to learn and cultivate your own qi through practice of the Daoist Five qigong form and Zang Zuan Standing meditation practice. Suzannah Stason, LAc/CMQ/CQT is a licensed acupuncturist, medical qigong therapist and teacher, and meditation practitioner. Suzannah has a degree in mind-body health from Stanford University and trained with qigong master and Zen priest Suzanne Friedman, L.Ac/DMQ (China) for over 6 years. Suzannah has extensive teaching experience at the American College of Traditional Chinese Medicine, Kaiser Permanente, Atria Senior Living, Breath of the Dao Chinese Medicine Clinic and at several private events and conferences. She is currently adjunct faculty at the Acupuncture and Integrated Medical College in Berkeley, California. Suzannah also runs an acupuncture and medical qigong practice in San Francisco where she also teaches regular public qigong classes. See pricing details by clicking on the registration button. Overview: In this course, you will review all protocols and learn eastern & western pathology and internal organ treatment protocols. You will review Chinese pattern diagnosis and the Western equivalents, and learn how to treat each pattern with medical qigong therapy. You will also explore dimension of practice ethics, business and legalities. You will practice and teach qigong exercises we have learned throughout the modules. See above for more information on the Medical Qigong certificate program. In this 30 hour intensive, Dr. Raphael Nogier of the Groupe Lyonnais d’Etudes Medicales in Lyon, France will present the theory and practice of Nogier-style Auriculotherapy. The course includes anatomy of the ear, electrical detection of points, master points and specific treatments for endocrine conditions, rheumatic diseases, diseases of the central nervous system, functional diseases, and skeletal, issues as well as treatments to address PTSD. Dr. Nogier will discuss the scientific research on the effectiveness or Auriculotherapy and the applications of the Vascular Autonomic Sign which indicates the change in the amplitude and dimension of the pulse when certain points of the ear are stimulated. Dr. Raphael Nogier is one of the most sought after teachers in Europe. 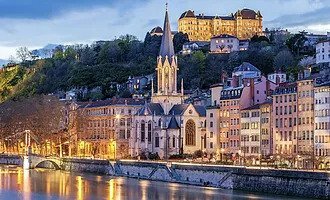 In addition to his seminars, Dr. Nogier also trains medical doctors from around the world at the Groupe Lyonnais d’Etudes Medicales in Lyon, France. There he holds a year round two-year program. His style of teaching is easy to understand and to learn. As a physician with a full time medical clinic and a busy schedule of teaching seminars, Dr. Nogier continues to bring the knowledge of this medicine to help 1000’s of patients that seek him out from around the world every year. Participants will gain an in-depth understanding of how this medicine works and how to apply it. Assisted by Karen Vartanian, L.Ac., Dipl. Ac. Flavor occupies the intersection of health and pleasure. Integrating traditional culinary and medical wisdom with the insights of contemporary research, this class is a gastronomic and intellectual journey through the five (or more) basic flavors that define the effects of foods and herbs on the body, mind and palate. This all-new series includes cooking demonstrations, hands-on projects and a unique series of flavor labs that will inspire your work with clients as well as your own cooking and herbal prescribing. 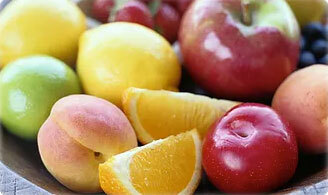 This 2 day workshop will focus on the sweet, sour and bitter elements of flavor. Instructor: Nishanga Bliss, D.Sc., LAc. The seminar will give you a unique opportunity to learn hands-on clinical techniques using contact needles also known as TEISHIN. You will learn advanced techniques on how to reduce stress in your patients and mitigate psychological conditions such as insomnia, depression, PTSD (Post-traumatic stress disorder), IBS (Irritable Bowel Syndrome), eating disorders (bulimia, anorexia nervosa), and schizophrenia with using a very gentle and non-invasive needle technique. This workshop will give you a unique opportunity to learn acupuncture techniques using silver contact needles. Dr. Keiko Ogawa will share her research findings on the efficacy of contact needle therapy. Dr. Keiko Ogawa graduated from Nagoya University, School of Medicine in 1997. She became a board certificated Pediatric Surgeon in 2001. 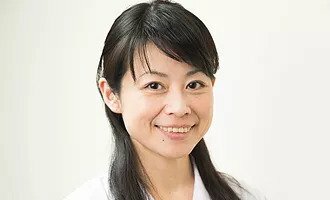 She studied regeneration of organs from ES cells from 2000 to 2004 at Nagoya University Graduate School of Medicine and obtained a PhD. She joined Kanazawa University Hospital, Department of Otorhinolaryngology & Head and Neck Surgery as an associate professor in 2011. She became a professor of Department of Japanese-Traditional (Kampo) Medicine in Kanazawa University Hospital in 2015. She is continuing her research of Kampo Medicine for various diseases, especially for pediatrics, vascular malformation, cancer, and infection. Join Dr. Kazunori Itoh for a weekend seminar on pain management using advanced modern Japanese techniques including trigger point acupuncture, micro-current acupuncture, and moxa. Trigger points often develop out of acute or repetitive overuse of muscles, musculoskeletal imbalance, injury or other kind of strain. Focusing on trigger points is very effective for treating a wide variety of pain, including peripheral pain, spine mediated pain (which affects internal organs), and brain mediated pain (which can impact the entire body). Dr. Itoh earned a bachelor’s degree in acupuncture and moxibustion from the Meiji University of Integrative Medicine, and went on to complete his doctorate at the same institution. After a stint as assistant lecturer in clinical acupuncture and moxibustion, he spent a year at the University of Toronto studying with Professor B. J. Sessle. He is currently associate professor in the Department of Clinical Acupuncture and Moxibustion at Meiji University of Integrative Medicine. His research specialty is muscular pain, and in 2004 he established an outpatient clinic for fibromyalgia sufferers. He is studying the use of acupuncture and moxibustion in the treatment of fibromyalgia, both clinically and as basic research. 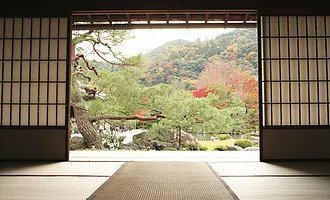 Course Overview: Building on a decade of experience, the annual In-Touch Seminar in Japan promises great insights and refinement of skills in Japanese acupuncture and moxibustion for both past and new participants. This year we are going deeper, spending six days with 4 instructors in one great location – Utazu City in Shikoku. There is also an add-on seminar for those who want to dive even further into the Shudo-style. Stephen Brown will take a smaller group down to Oita to study with Dr. Shudo himself. AIMC Berkeley is proud to announce the creation of a Certificate in Japanese Medicine. 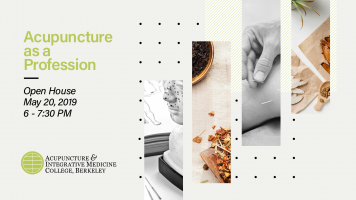 This certificate will be awarded to any licensed acupuncturist or acupuncture student who completes a minimum of 84 Continuing Education units from the Japanese Acupuncture workshops offered at AIMC Berkeley. Japanese acupuncture is renowned for its ability to create positive clinical outcomes with minimal stimulation. Many acupuncturists who practice Meridian Therapy use little to no needle insertion. 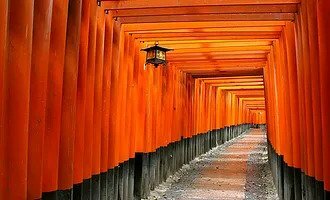 The AIMC Japanese Medicine Certification program offers an opportunity to study with masters from Japan who will teach several techniques using intricate, classic methods of Meridian Therapy. They will also demonstrate evidence-based scientific approaches such as trigger point treatment, which is based on autonomic nervous system theory. A gentle approach to moxibustion, also an important feature of traditional medicine in Japan, will be covered in this series as well. Requirements: Completion of a minimum of 84 CE units from the Japanese Acupuncture certification workshops that are offered at AIMC Berkeley. There are a series of continuing certification modules that can be applied to the certificate’s 84-unit requirement. Priced per class. See each individual course/module registration for pricing.